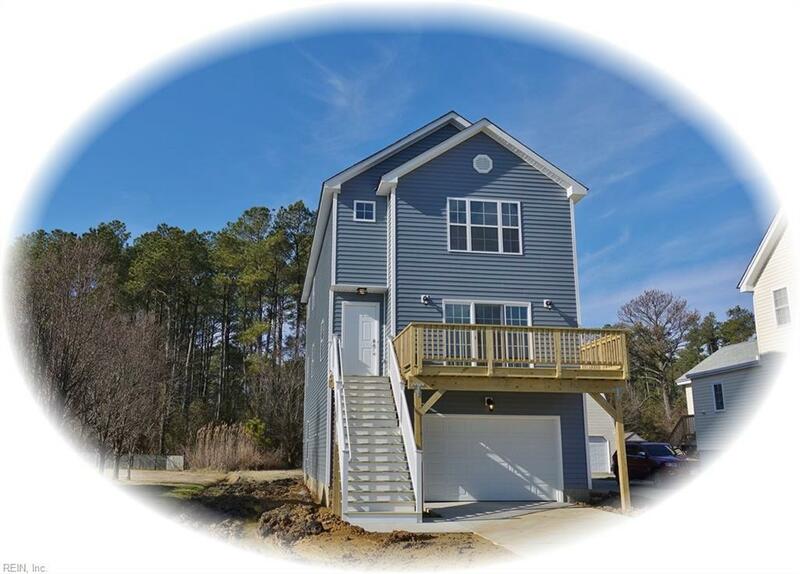 1430 Poquoson Ave, Poquoson, VA 23662 (#10238126) :: Abbitt Realty Co. Affordable new construction home is ready for new owners. 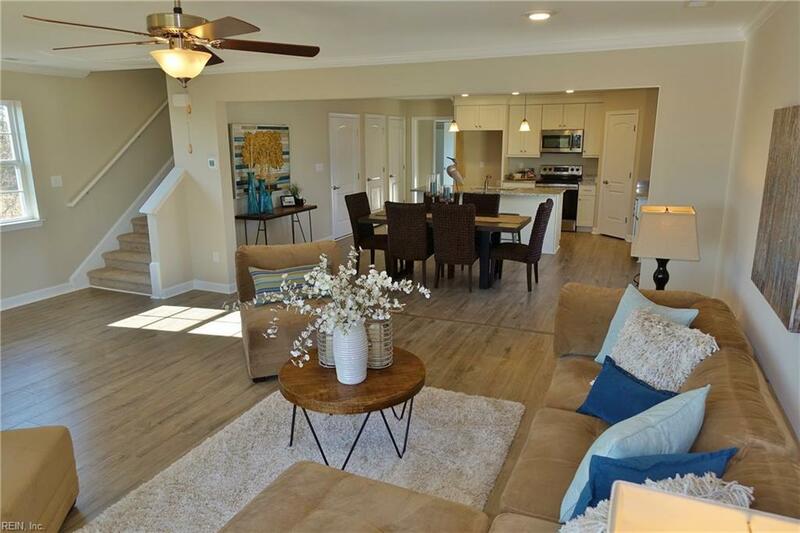 Eat-in Kitchen w/ granite counters, stainless steel appliances, 2 pantries, storage closet & over-sized center island w/bar seating space ~ You'll love being open to the family room & the gorgeous views of the Poquoson marshlands from the front deck. 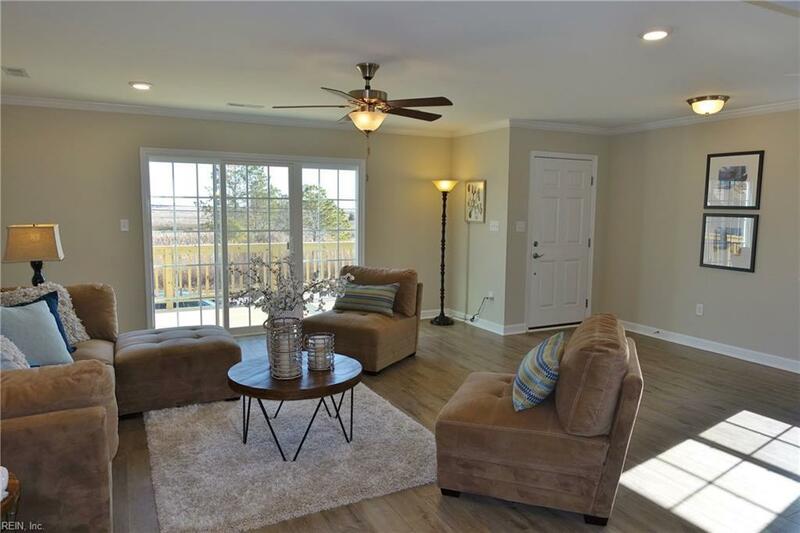 With lots of natural light & beautiful wood laminate floors, you can call this one home in sought after Poquoson. Theres a "Flex Room" or 1st floor Bedrm w/closet adjacent to full bath. Three additional Bedrms on 2nd floor, including MBR w/huge WIC. All bathrooms have granite counters too! The master bath has dual sinks, gorgeous oblong tile flooring & a huge glass framed tile shower that's just right! Hall bath has dual sinks, oblong tile flooring & tub/shower combo. Full laundry room is conveniently located on 2nd floor off spacious landing & hallway. 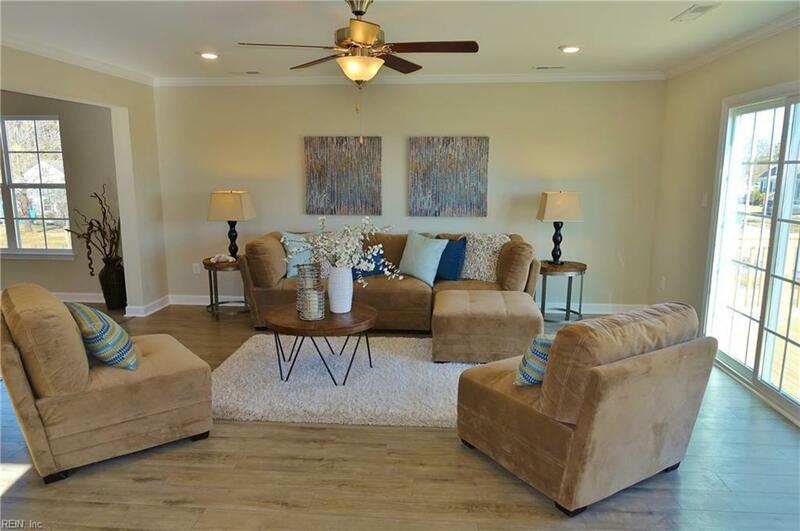 2-car attached garage is larger than normal & theres a finished room off the back (19x21) thats great for some recreation fun!